ConocoPhillips, the largest operator in the San Juan Basin gasfield, which spans across northern New Mexico and southwestern Colorado, recently announced it will sell off all its assets, in the basin. ConocoPhillips, the largest operator in the San Juan Basin, a natural gas and oil field that spans across northern New Mexico and Southwest Colorado, will sell all its assets, the company recently announced. Davy Kong, a ConocoPhillips corporate spokeswoman, said the company’s decision earlier this month to sell up to $8 billion of mostly North American natural gas assets would include all of the 1.3 million acres of leasehold in the San Juan Basin. ConocoPhillips has been active in the San Juan Basin – an area rich in coal-bed methane – for more than 50 years, operating approximately 10,000 wells throughout Colorado and New Mexico, Kong said. The company also purchased all of Burlington Resources’ assets in 2006 for $35.6 billion, a significant portion of which was focused in the basin. ConocoPhillips’ decision to leave the Four Corners is yet another blow to a region suffering from prolonged bust years as a result of the declining price of natural gas, a trend the Houston-based international energy company was not immune to. According to data taken from the Colorado Oil and Gas Conservation Commission, ConocoPhillips has recorded a 68 percent decrease in production in La Plata County since its peak year in 2003. This year, the company is on track to notch even lower production totals. The sale, however, could have significant impacts to La Plata County’s operating budget of $77 million, of which, ConocoPhillips and its subsidiary, Burlington Resources, contribute nearly $2 million. Kim Carpenter, executive officer of San Juan County (New Mexico), told The Durango Herald he was informed by ConocoPhillips the company would continue operations as usual until it has found a successful bidder, possibly ensuring a seamless transition of assets to a new operator that would continue to pay taxes and employ workers. Yet uncertainty about the long-term stability of the natural gas industry, as well as the possibility of a purchase by the Southern Ute Indian Tribe in Ignacio, which would not have to pay property tax because of its sovereign status, has put La Plata County’s revenues further in question. In 2014, Burlington Resources and ConocoPhillips, respectively, were the fifth- and sixth-largest producers of coal-bed methane in La Plata County, which contributes nearly 75 percent of the state’s coal-bed methane production. Yet production across La Plata County, too, has seen a fall: In 2003, (ConocoPhillips’ peak year) production was at 410 million cubic feet of natural gas. In 2015, that number was nearly cut in half at 264 million cubic feet, according to the COGCC. And 2016 is estimated to continue that downward trend. ConocoPhillips declined further comment for this story, but Christi Zeller, executive director of the La Plata County Energy Council, said the sale of the company’s assets should not be cause for alarm. Zeller referenced the September 2015 bankruptcy of Tulsa, Oklahoma-based Samson Resources, which was La Plata County’s second-largest operator, paying nearly $3.4 million in property taxes annually. 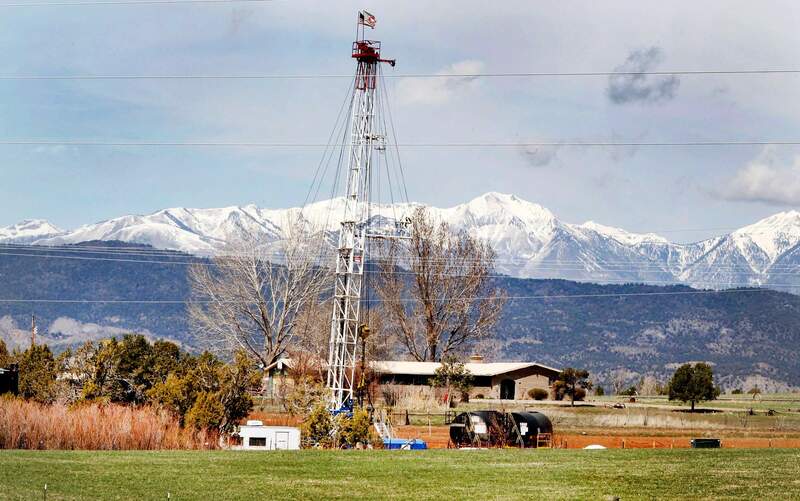 Though there was a period of uncertainty, all of the company’s assets in La Plata County were purchased last month by the Southern Ute Indian Tribe’s natural gas and oil production company, Red Willow Production Co., for $115.5 million. The Southern Ute Indian Tribe declined comment for this story. Regardless, Zeller said it could take a few years to see the actual impacts of ConocoPhillips selling its assets. The majority of ConocoPhillips’ 500-plus employees in the basin reside in New Mexico, sparing La Plata County from mass layoffs or cut-backs, Zeller said. Indeed, other operators in the basin, namely Chevron and Energen, have recently sold their assets in the San Juan Basin because of the industry downturn, whereas BP announced in December 2015 its “first major acquisition in seven years” – 480 wells across 33,000 acres. “This acquisition clearly demonstrates the importance of New Mexico and the San Juan Basin to our future,” David Lawler, CEO of BP’s U.S. lower 48 onshore business, said at the time. BP is by far La Plata County’s largest property taxpayer, contributing more than $17.8 million in 2015. However, La Plata County Commissioner Gwen Lachelt said the departure of ConocoPhillips is yet another indicator of the county’s “dire financial situation” as natural gas prices, traditionally the most reliable form of property tax revenue, continue to decline.